In what is a fresh twist to the controversy that surrounded the events after the Indian Super League final in 2015, a new video has emerged which shows that Chennaiyin FC captain Elano Blumer was wrongly implicated for assault - after his side dramatically won the match to clinch the trophy. The video, accessed by NDTV, shows that it was FC Goa owner Srinivas Dempo who was the aggressor, while Elano did nothing to merit arrest. 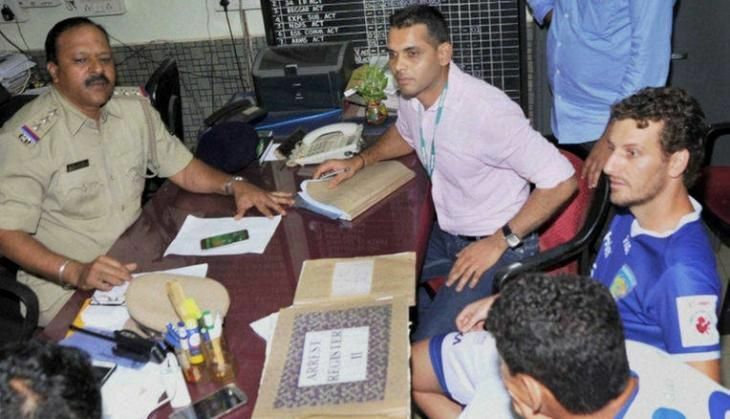 The video also shows an unsavoury three-hour ordeal at Margao Police Station. The unedited footage shows Elano looking to act as the peacemaker to break up the fracas and it is apparent that he was taken into police custody only on the behest of FC Goa owners. Since the video surfaced, it has been announced that a 5-member ISL regulatory commission is meeting on Tuesday and Wednesday to decide the degree of punishment against FC Goa, with the video making up the bulk of evidence. A physical fight broke out on 20 December, 2015 after Chennaiyin FC defeated FC Goa on their home turf to win the second edition of the Indian Super League, following which FC Goa co-owner Dattaraj Salgaocar accused Chennaiyin FC captain Elano Blumer of physically assaulting him in an altercation that occurred at the home team's dugout after the final whistle. He filed an FIR in a local police station and subsequently Elano was arrested. Elano was slapped with charges under Indian Penal Code (IPC) 323 (Punishment for voluntarily causing hurt), 341 (Punishment for wrongful restraint) and 504 (Intentional insult with intent to provoke breach of the peace). Elano was subsequently released but only after spending a night in police custody. After Kashmora, why is Karthi learning to fly a plane?